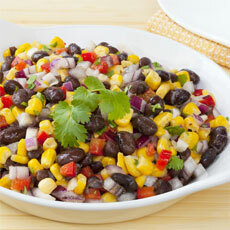 Keeping the family well-fed with tasty, wholesome food is no easy feat. Today’s parents have to be smart enough to read labels and make the right choices when it comes to healthy ingredients. 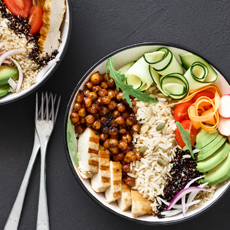 This means carving out enough time to do all the shopping, and being creative enough to fashion it all into a meal appealing enough for (often finicky) little mouths and tummies. Thus, when you can give a gift that saves time, bolsters creativity and/or makes the recipient look like a culinary god, you’ll be the real hero. Allow us at Green Valley to provide you with a few simple inspirations. 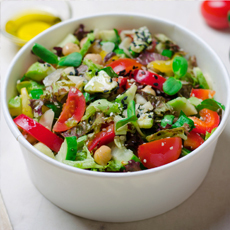 While fried foods sizzled in the traditional way – dredged in flour and dropped into a cauldron of grease – aren’t wholesome, E’Cucina aims to subvert the notion that it’s impossible to make a healthier fried food. 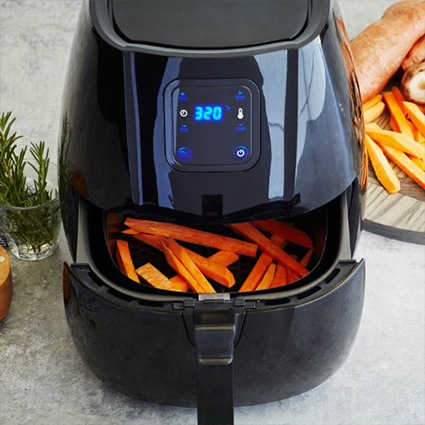 Enter the Healthy Air Fryer. It uses a teensy fraction of the oil conventional fryers do, but gives the same golden, crispy results. Not enough? This unit also bakes, roasts and grills (all oil-free) making it a trifecta of a winner. 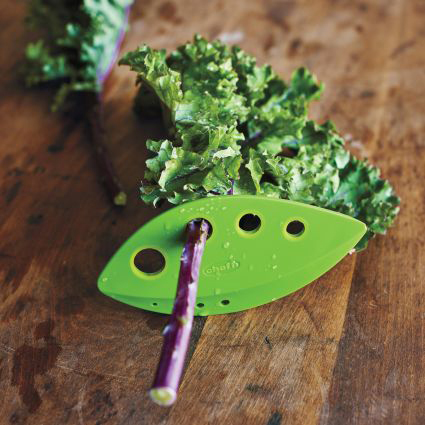 Healthy snacking has never been easier (or more fun) thanks to this nifty little slicer. 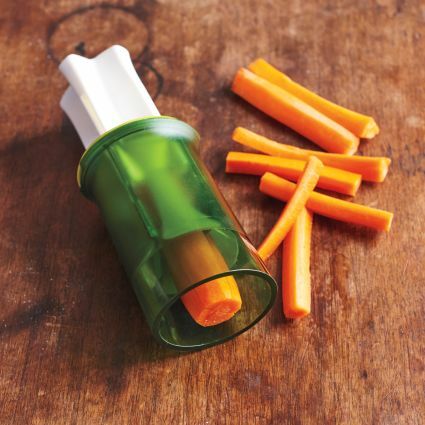 Create neat, perfectly-portioned veggie slices for adults, or use the ingenious tool for carrots or grapes in a child’s lunchbox. Slicing those hard-to-cut nutritious snacks just got a whole lot easier. Avocados are delicious, full of nutrients and add that lovely creaminess to any dish. But breaking them down can be a chore and a half. No more, thanks to this glorious multi-tool, which splits, pits, slices and scoops to perfection. 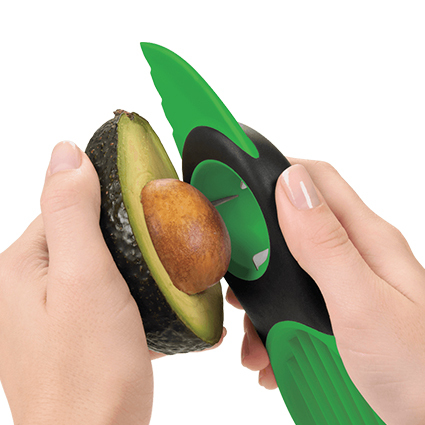 You’re giving the gift of exemplary avocados, each and every time, with this handy utensil, but in reality, you’re giving the gift of time, since it dispatches with the green fruit with sublime swiftness. It’s hard enough to get adults to eat their fair share of greens, let alone trying to slip some kale, chard or collards past the littlest of lips. It gets easier if the product is free of yucky chewy stalks and is chopped into perfectly bite-sized bits. Enter the Kale and Herb Stripper. Simply run a stalk of favored leafy greens through the proper hole and you’ll be left with a single, clean stem and a heap of nutritious greenery. It also works great on fresh herbs, like rosemary, thyme and more. Here’s the perfect mold to make breakfast fun for little ones. 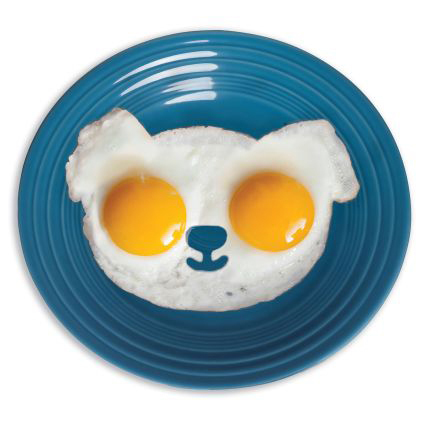 This silicone shaper transforms boring eggs into cute puppy-shaped ones, adding a touch of whimsy to any morning. It also works great for pancakes, and it can be used to cut out cookie dough and make fun pooch-themed treats. 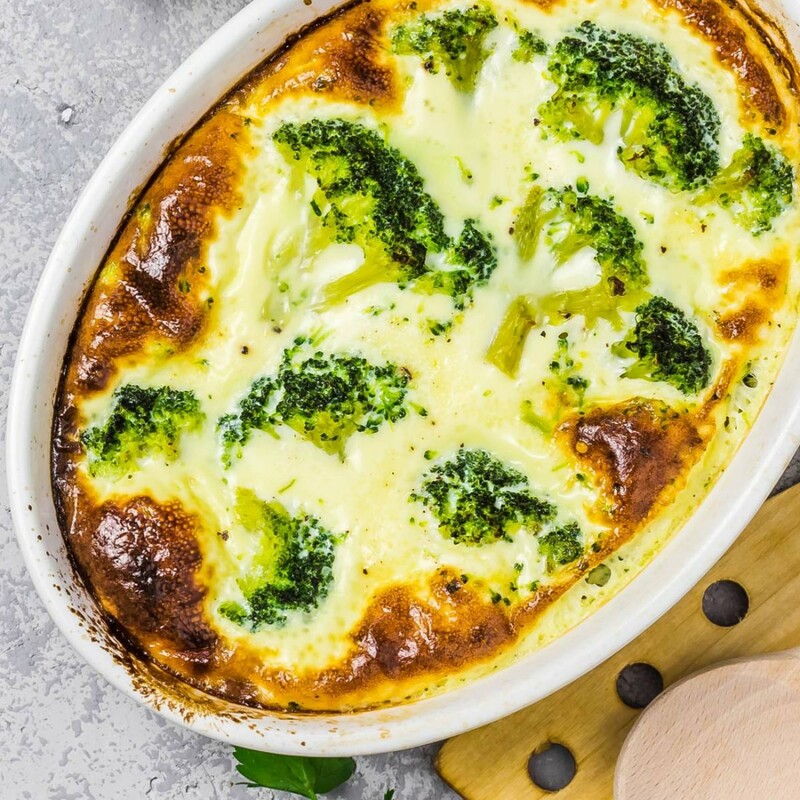 Gone are the days of scribing recipes on countless recipe cards, as tech-savvy home chefs are now using tablets as recipe guides. 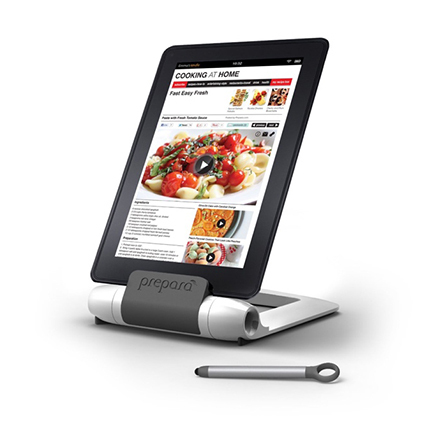 Give the gift of convenience with this IPrep Tablet Stand. Messy hands? No problem. The stylus pen keeps screens clean from jabbing, sticky fingers. 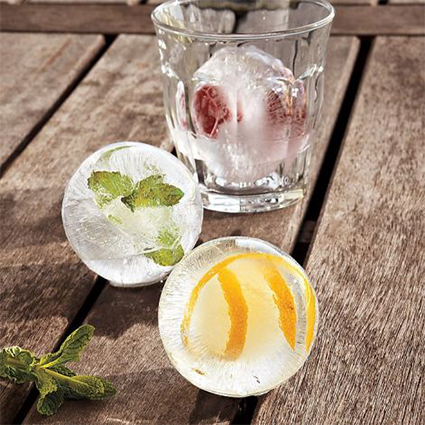 These slow-melting sphere ice molds are a fun way to prevent signature libations from getting watered down. This is due to a whole heap of science that we won’t bore you with, but you’ll be pleased to know they work. Not to mention they’re easily fillable, perfectly stackable and won’t cause a mess in the freezer. Clever users drop citrus, herbs and other flavorful elements into the molds to end up with frozen spheres that not only cool, but add a boost of flavor to any drink. After the little ones are nestled in bed, the recipient can drop a sphere into an adult beverage, kick back and relax. They’ll thank you down to the last sip. What are some other gifts you’re giving modern parents? Tweet ‘em at us at @itsgreenvalley and we’ll share with everyone.